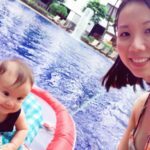 CHLOE DOES YOGA | Beverly's Net: family. food. fashion. CHLOE DOES YOGA – Beverly's Net: family. food. fashion. I haven’t ever posted about my fitness routine, or even where I am in my level of fitness etc. I’ve been meaning to.. because I’ve gone from a completely sedentary lifestyle into an exercise-mad one in the past 1-2 days, and I really want to share my journey! But I just haven’t gotten round to it. Apart from looking better (well, IMHO) and feeling better, the best part about being fit is the message that it’s sent to my kids. Children are impressionable, monkey-see monkey-do. 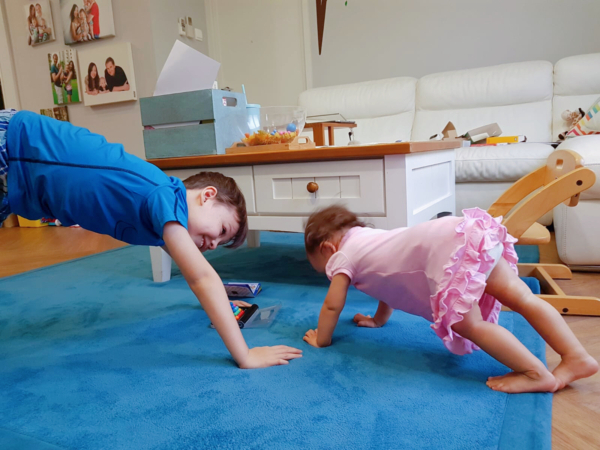 It’s important to me that my children feel that fitness is a normal, positive part of our day to day life. It’s important to me that my kids understand nutrition, and how beneficial exercise is. It’s super important to me that my kids grow up fit and healthy.. and not overweight and sedentary. And I’m really happy with where I am at the moment, and how my kids view our lifestyle. What tickles me most is Chloe mimicking my exercise moves. She’ll do squats with me, which – to me – is the cutest sight! And my two boys also get in on the action.. so if you come over at 6:30am in the morning, you’re pretty much guaranteed to see me and all 3 kids jumping around like we’ve overdosed on coffee. I exercise every single morning (20mins) and 2x a night (30mins) (in my kids’ bedroom as they’re falling asleep). So my kids are really accustomed to seeing me exercise, and know all the various yoga and HIIT moves, so the boys will ‘help out’ by calling the next move out or helping me to count down. We are a pretty comical sight. But, here’s Chloe, learning to do Downward Dog in yoga! Not a bad effort? 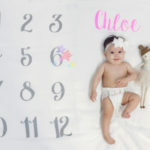 This was taken two months ago (yes I am terrible at this blogging thing) and she’s getting better! Hunter, who has mastered pretty much all the moves, is also a great coach. He’s actually unusually aware about health.. and will frequently ask me, “Is this healthy, Mummy?” and seldom eats chocolates/lollies/fries/etc now. He pretty much sticks to just steamed food like tofu, fish, soba noodles. This pic has nothing to do with exercise.. just posting it because – FIRST PIGTAILS. Eeeee!! 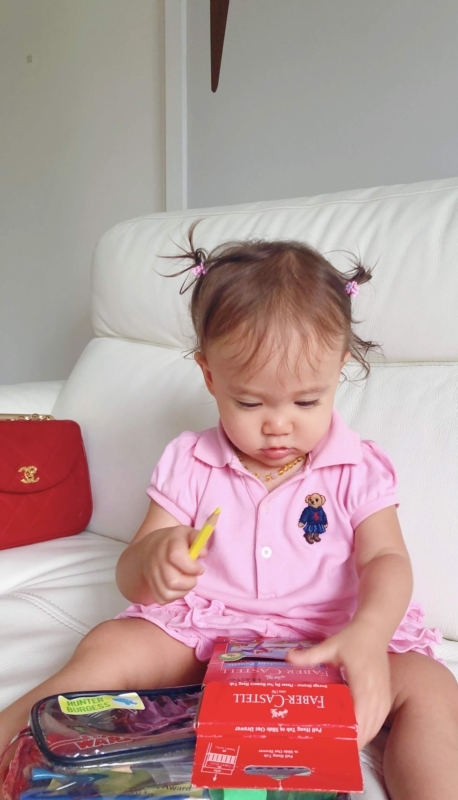 Previous MY PRIMARY ONE KID’S DAILY SCHEDULE + BRAND’S GIVEAWAY! Next THINGS MY KIDS SAY: What is paradise?